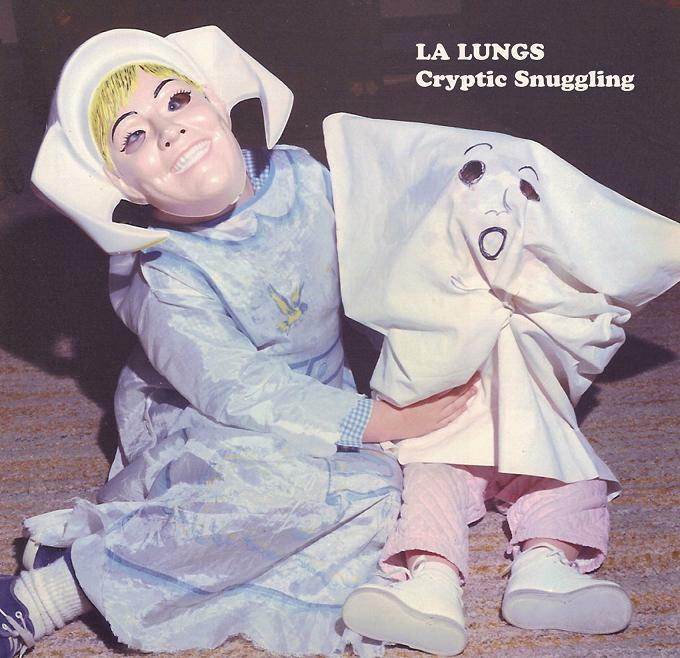 15 June 2010 release on Debacle Records turns to be “Cryptic Snuggling” by L.A. Lungs. Majestic walls of warm, fried sound are appearing you, while listening to it, but these walls don’t restrict, they don’t enclose, but on the contrary, they just show the way to spacial bliss. The structural side of the album is quite understandable, it consists of thick, sometimes heavy moog drones and gentle guitar sweepings, but all these plain means are used in such a successful and stunning manner, that you are sure to stop thinking about mechanical points, you make a step into this thermal spring, plunge into the vesicular solution of not yet crystallized sounds and have a psychedelic bath. “Cryptic Snuggling” has that sort of old-world flavour, which makes you sustain the sweet feeling of nostalgia. So, have a listen to the musical work of L.A. Lungs. This entry was posted in Uncategorized and tagged ambient, Debacle Records, L.A. Lungs. Bookmark the permalink.